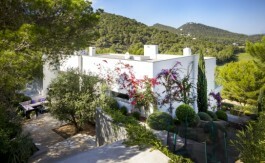 This recently renovated villa is located in the urbanization Can Furnet, 10 minutes from Ibiza town. 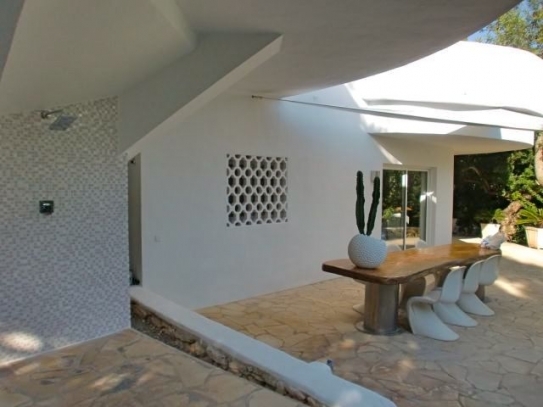 On the upper floor is the living room and open kitchen area with beautiful views to Formentera and Ibiza town. 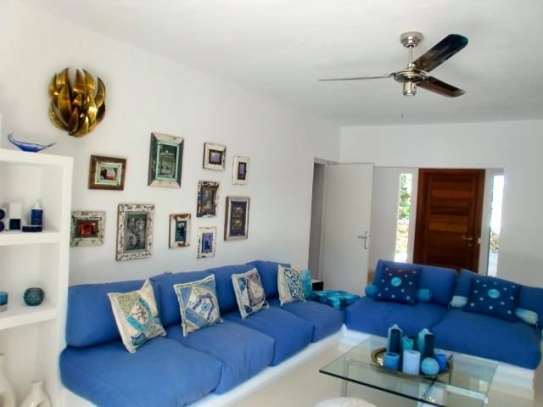 The villa features 2 bedrooms sharing 1 bathroom. 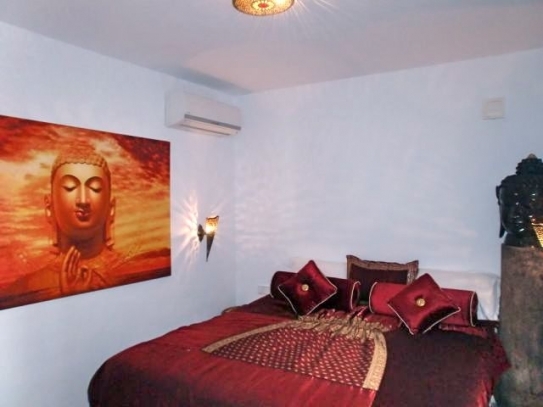 On the lower floor is a complete apartment with bedroom, bathroom and small kitchen area directly connected to a beautiful terrace area. The pool area boasts wooden Teak decking and lounge furniture. Please call us to visit this unique architectural villa.